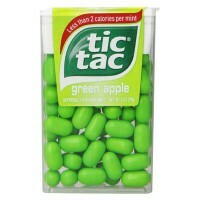 Fans of that sour apple candy flavor will love these green apple breath mints from Tic-Tacs! 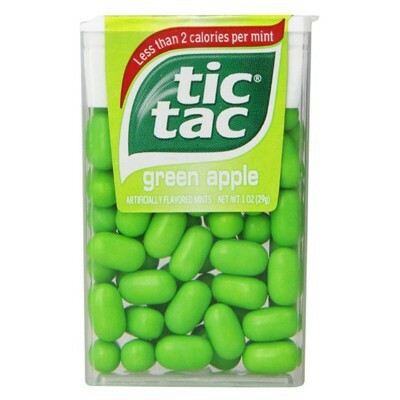 While they taste like your typical tart candy, these tiny treats have extraordinary breath freshening power! Don't forget to pop a box into your briefcase, purse, or schoolbag. 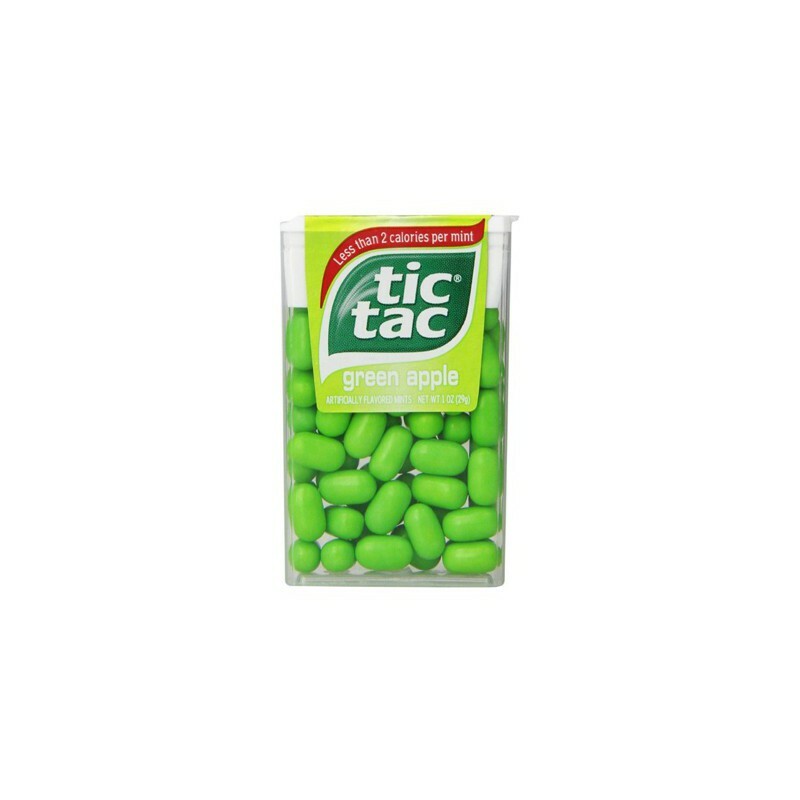 Americans love their Tic Tacs! Sugar, maltodextrin, rice starch, acidity regulators E334-E296, thickening agents E414-E572, artificial flavor, dried acerola extract, dried green apple, glazing agent E903, colors E102*-E133. *May have an adverse effect on activity and attention in children. Contains GMO.